The Maldives incurred huge debts under the regime of former president Abdulla Yameen, which has created difficulties for President Ibrahim Solih, stated European think tank European Foundation for South Asian Studies (EFSAS) in a recently published report. According to a report published by EFSAS, a week after Ibrahim Solih took charge of the nation as the President, it came to light that country’s finances are in the worst shape and the amount owed to China is still being assessed. Nasheed, who is now President Solih’s advisor had also highlighted the pitfalls of China’s influence over the Maldivian economy. 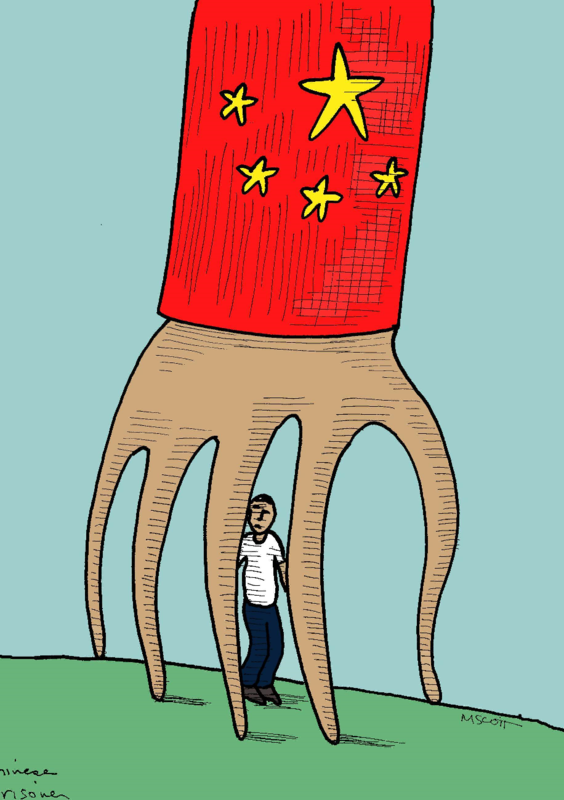 He had opined that this would only assist in building China’s strategic muscle. “Foreign powers, among them China, are engaged in a ‘land grab’ of Maldivian islands, key infrastructure, and even essential utilities. Shrouded in secrecy, all manner of projects have been awarded to foreign State-run companies”. Claiming that China has already seized some 16-17 islands in the Maldives through an “opaque leasing process”, he opined, “it always starts with a real estate project, but it can be turned into something else”. His grim conclusion was, “As I watch my country in exile, I fear that piece by piece, island by island, the Maldives is being sold off to China”. China, however, rejected the figure and stated that amount was about USD 1.5 billion USD. “…it was an invoice. It just had a figure, $3.2 billion. It was shocking. It wasn’t just a conversation, it was a written note handed over, it was clear, you owe us this much”. He further said, “…direct debt or direct bilateral government-to-government debt is one thing, but there is on top of that sovereign guarantees for the private sector. And there is also on top of that our State-owned enterprises that have gone into debt,” said Nasheed. It was further revealed by Foreign Minister Abdulla Shahid that the Abdulla Yameen government had given sovereign guarantees not just to state enterprises but also to individuals. He also revealed that the huge debt had not translated into projects. “The Yameen government is also suspected to have pocketed a part of the grants and earned commission on soft loan”, the report published by EFSAS stated. “We are trying to unravel this. It looks like lots of IOUs were issued, pieces of report. We are trying to find out, how many and to whom”, he said. “We cannot go into default. We will face a default situation if we agree the debt to be what the sovereign guarantees are saying,” another member of the team that is reviewing the liabilities of State-run enterprises claimed. “The FTA, as per which humongous China and the tiny Maldives agreed not to impose tariffs on imports from each other, was pushed through without even providing the opposition time to read its contents and has resulted in completely skewing the balance of trade against the Maldives,” the report published in EFSAS stated. Stating that China is not buying anything from the South Asian island nation, Nasheed said, “The trade imbalance between China and the Maldives is so huge that nobody would think of an FTA between such parties. China is not buying anything from us. It is a one-way treaty”. The 2015 law, meanwhile, has enabled a Chinese company to lease the uninhabited Feydhoo Finolhu Island, which is close to Male and its international airport, for a period of 50 years for a paltry 4 million USD. China has also been developing Gadhoo Island, 437 km from Male, since 2016. This island is seen by analysts as a potential future supply-berthing-maintenance base, similar to what China has in Seychelles. China is also helping build a Joint Ocean Observation Station on the Maldives’ northern-most atoll of Makunudhoo, which is close to the sea lane connecting to the Suez Canal. Pakistan is also one of the threats in the Maldives given that since the early 2000s, the youth from the Maldives have been going to Pakistan for training under the Lashkar-e-Taibah (LeT), a proxy of Pakistan’s Inter-Services Intelligence (ISI). According to the research report, Maldivians have also participated in major terrorist attacks in Pakistan and were caught trying to enter Afghanistan from Pakistan’s restive Waziristan region. At least two Maldivians are known to have died fighting in Jammu and Kashmir in early 2007, and Maldives national, Ali Assham, was alleged to have been involved in the LeT-linked attack on the Indian Institute of Science in Bengaluru in 2008. Nasheed in November 2009 also pointed to “a Maldivian connection” in the 2008 Mumbai terrorist attacks. “Indoctrinated by fundamentalist Maldivian clerics returning from Madrassas in Saudi Arabia, Egypt and Pakistan who have brought back a puritanical version of Wahhabi Islam and Salafism, members of these groups capitalised on the protection they received from the Yameen regime and were allegedly used by the regime against its opponents,” the report stated. Solih’s victory has provided the international community with an opportunity to play its part in strengthening the roots of democracy in the country, arresting the growth of extremism, and countering China’s efforts at squeezing territory out of the clutches of the South Asian country as well as thwarting any aspiration it may have of setting up military installations on the islands. Solih’s government, ever since it came into power, has also promptly asserted the Maldives’ ‘India first’ policy. Both Solih and Maldivian Foreign Minister Abdulla Shahid chose India as their first international destinations. Shahid during his visit stated that the Maldives owes close to 70 per cent of its external debt to China. The regional dynamics would counsel Solih to keep Pakistan, which is near-bankrupt and has little of substance to offer to the islands, at an arm’s length. “Pakistan’s highly suspect role in promoting terrorism in the Maldives has been brought out above. The island nation can ill-afford a supposed partner that further fans the terrorist flames. India, meanwhile, will draw Pakistan’s involvement in the Maldives as its red line,” the report states. China will not only seek to leverage its investments in the Maldives but also use its preferred debt-trap diplomacy to demand further concessions.